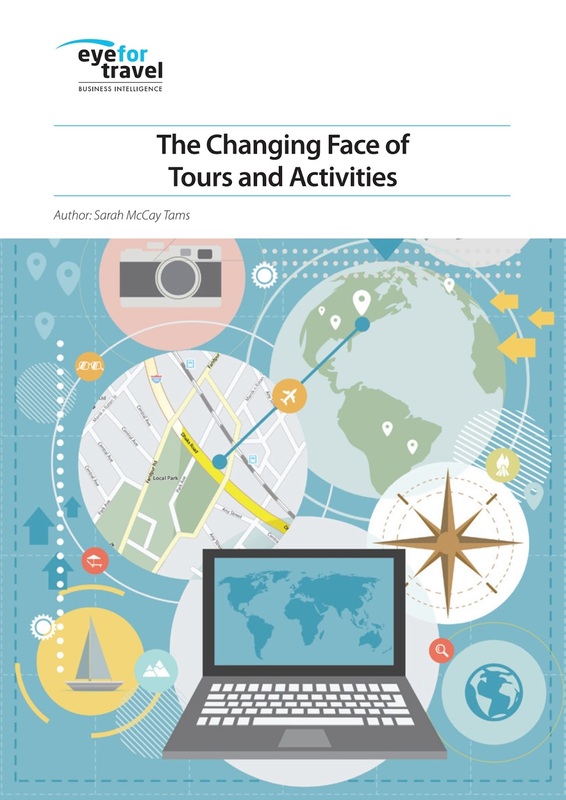 As the last major sector to be brought into the digital distribution ecosystem, there is now a rush to grow business in tours and activities says EyeforTravel’s new The Changing Face of Tours and Activities report. From the big online travel players, to airlines, to hotels, to a host of start-ups, tours and activities are seeing huge interest and investment according to EyeforTravel’s report, which is free to download now. This is because advances in technology and platforms have opened up the market and all of the aforementioned players are eyeing the area as a major growth opportunity. TripAdvisor, believes we are at a turning point in the tours and activities market. “It’s an exciting time to be in the attractions space – it’s entering a significant growth phase as it continues moving online. It’s TripAdvisor’s largest long-term growth opportunity outside of hotels,” says Laurel Greatix, Director of Communications. Indeed, the report notes that the Compound Annual Growth Rate (CAGR) for the company’s hotel revenue from 2013 to 2016 was 10% but its non-hotel revenue grew 85% a year. Key to tapping into the growth will be mastering technologies, principally mobile and Application Programming Interfaces (APIs). Tours and activities booking engine GetYourGuide has seen a phenomenal shift towards mobile bookings. “Only four years ago, less than 5% of our customers booked tours and activities via mobile devices. This year we expect more than 50% of bookings to be mobile driven,” says Johannes Reck, the company’s CEO. Smartphone access to tours and activities is critical, as around half of consumers continue to book during the vacation itself according to EyeforTravel research, and consumers are getting better and cheaper access to data as they travel. APIs are the second main technology transforming the space as they allow a much wider variety of brands to access inventory and offer this to their customers. In the case of tours and activities these are typically, response-request systems that allow developers to access inventory and present it to end users through incorporating HTML code. The ease of integration means many more players across the industry can sell tours and activities direct to the consumer. There are now more than 50 APIs that can be used to access torus and activities inventory, including Viator, Expedia, Musement, Trip.com, Rezdy, BeMyGuest, mTrip, Trekksoft, G Adventures, GetYourGuide and TourCMS to name just a few. This is creating an exciting mix of new and established companies rushing into the space and expanding consumer access to tours and activities, which will push the sector to become a major growth engine in travel and tourism. The current state of the tours and activities market. The technical challenges of incorporating tours and activities into a digital travel product. How OTAs, hotels, and airlines are including tours and activities. Technology and how it is shaping the future of this market. Also make sure to check out all of EyeforTravel’s free reports and white papers by clicking here. The tours and activities market is experiencing a major boom, according to EyeforTravel’s new The Changing Face of Tours and Activities report. 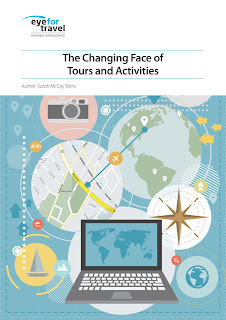 The report, which is free to download now, finds that tours and activities providers are experiencing growth rates of between 9% and 30% as the sector benefits from a growing proportion of the consumer’s spending power, inward investment, and increasing connectivity. This likely makes it the fastest growing sector in the travel industry. Tourico Holidays has seen a 20% increase in tours and activities bookings in 2017 compared to 2016 levels. Steve Skidgel, Executive Vice President of Operations and Head of Activities at Tourico, says the amount of spending per trip has definitely increased with consumer interest in niche services, such as Segway tours, cooking tours, zip-lining, four-wheeling to give a few examples, leading the growth. Stefano Zeni, Head of Commercial Management & Destination Services at GTA, believes the market will grow by up to 9% over the next five years and Johannes Reck, CEO and Co-founder of online booking engine GetYourGuide, estimates that the sector is expanding at a rate of 10% each year. In particular, the market is seeing particularly strong growth at the top end as big-spending travellers look to put more of their disposable income into unique experiences. Christian Wolters, Managing Director of TourRadar, which sees an average spend of USD1,500 to USD2,000 per tour per person, is seeing growth of as much as 30% year on year. The sector, which is already the third largest in travel after accommodation and air is set to grow in importance as a wide variety of different players across the travel space look to move in and make it more available to online travel shoppers. Currently the market is worth around $250 billion a year according to EyeforTravel and accounts for roughly of 10% of travellers’ vacation spend. Both of these figures are sure to expand dramatically over the next five years as consumers focus further on experiences and a growing number of different actors from across the travel space move into the sector. • The current state of the tours and activities market. • The technical challenges of incorporating tours and activities into a digital travel product. • New start-ups and disruptors. • How OTAs, hotels, and airlines are including tours and activities. • Technology and how it is shaping the future of this market.